Kao-Chia green products (GPPS Sheet, Acrylic Sheet, PE Products). Enjoy your life and protect the earth. | Kao-Chia Plastics Co., Ltd.
Kao-Chia create the higher quality plastic products-Acrylic sheet,GPPS sheet, PE film / bag. Excellent quality of Made in Taiwan and reasonable price make Kao-Chia "Turn plastic into Gold". Kao-Chia is a professional PE products and plastic sheet manufacturer in global market. We use our own products of PE protective film to effectively protect the sheet and control the quality. We have Acrylic sheet, GPPS pattern sheet of variety and PE products to meet customers' requests. We also provide OEM / ODM products to exclusive design-open new molding and packing services for customer to enhance the uniqueness. 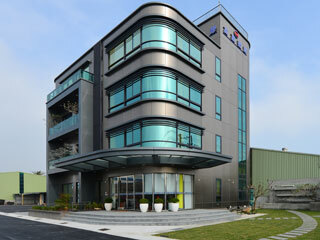 With 40 years production experience in professional technique, Kao-Chia has been established for 23 years . We obtained ISO9001:2008 int'l quality sanction, provide higher quality and service to create higher business value for you. Welcome to Kao-Chia Plastics Co., Ltd.
Kao-Chia not only manufactures GPPS sheet, Acrylic sheet, PE products, but also provides high quality and perfect after-sales service. Kao-Chia has been established for 28 years, but we have 40 years production experience of PE blowing film, GPPS sheet and Acrylic sheet extrusion technology. Our concept of considering both quality and service equally important and performance gain trust from customers. Copyright © 2019 Kao-Chia Plastics Co., Ltd. All Rights Reserved.